UNL research helped launch a U.S. Department of Agriculture website that helps producers prepare for the effects of climate change on livestock. The website is part of the USDA's Animal Agriculture in a Changing Climate project. Six land-grant universities are a part of the effort. 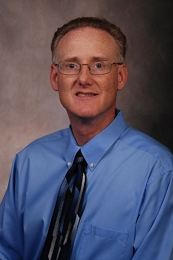 Rick Stowell, a UNL Extension animal environmental engineer and associate professor of biological systems engineering, is the project's lead investigator. The $346 billion U.S. animal ag industry is already paying the price as frequent and extreme weather events that impact individual producers influence costs nationwide, Stowell said. "Climate change costs this industry money; we need to understand and plan to reduce those costs," said Stowell, a UNL Extension animal environmental engineer and the lead project investigator for the project. The new website offers free, science-based educational resources and online training. Materials target all those working in animal agriculture that need to have a better understanding of the issues and consequences of climate change on the animal agriculture industry. It will be available through July 2016. New data released in September indicate that atmospheric concentrations have risen faster than expected in 2013, Stowell said. "Even small changes in climate affect us," Stowell said. "Over the next 30 years, agriculture will have to feed an additional 2 billion people as well as adapt to a changing climate. We have to become more resilient and better prepared." Other universities involved include Cornell University, University of Georgia, University of Minnesota, Texas A&M University and Washington State University. The USDA's National Institute of Food and Agriculture Program provided funding for the project.